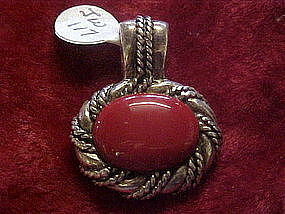 Pretty coral set into this substantial sterling silver pendant setting. Overall oval measures 1 3/4" x 2". Marked 925. No chain included. If you need to see a photo of the back, email me.